The youngest of four daughters, April Sennett wasn’t the son her farmer parents wanted and needed. Her father’s crippling accident compels her to return home and shoulder the arduous farm work under his vitriolic supervision. Her mother’s belated affection helps sustain her, but neighboring farmer Dan Clayton must often be called to April’s aid. She doesn’t know why he’s so willing to help her irreligious family—April’s father has spent years ridiculing the “Holy Claytons” for their deep-seated Christianity. Dan’s gentle ways capture April’s heart, but it’s only after she falls in love with him that she discovers his engagement to a vivacious Christian girl. Reading the Bible only confirms April’s unworthiness for Dan. 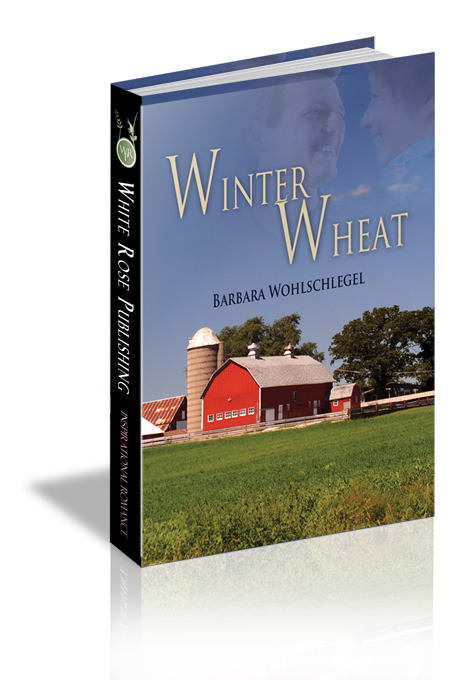 Can God take an impossible situation and give April her heart’s desire, or is she destined to a lonely life of working herself to exhaustion to save her father’s farm? Carol napped between visiting times, but April couldn’t close her eyes without visualizing her father’s arms caught in the corn picker. She paced to the end of the hall and stood looking at the parking lot where arc lights made yellow halos in the rain. “We’ve got husbands and jobs,” Paula had said, so she and Connie and Ruth must have agreed that it would be just fine for Boose to stay home and help their parents. Cabooses didn’t matter. And anyway, she was only a poorly paid assistant librarian. Well, she would stay home—not because they had decided she should, but because her mom and dad needed her. Leaning her head against the cold window, she cried softly. More than anything, she wished that Dan Clayton’s strong, comforting arms were holding her again like those few minutes in the milking parlor. Then her lips twisted into a bitter smile. Imagine one of the Holy Claytons putting his arms around a heathen Sennett.